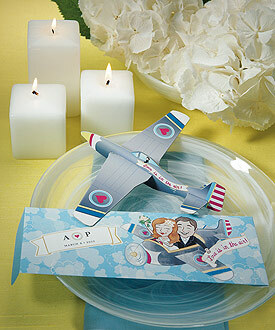 Each glider comes in a fun envelope that can be personalized with three different sticker options. Perfect favor for the adventurous couple. Use as a save-the-date alert, invite, or favor. 3.38 x 1 x 2.25"
Personalized sticker available if you order more than 2 sets of 12.